a new approach to food. Same great taste, new ingredients. Growing up as omnivores we have a certain expectation for what food should taste like. For as long as we have been around meat has been a central part of many cuisines. We aim to take these flavors and taste experiences and recreate them in an ethical, plant-based form to be enjoyed by all. This recipe is one of the first things we created so that we were no longer without the taste of our morning eggs. Use this blend to perk up that deviled potato salad or take your tofu scramble to the next level. The possibilities are endless with this magical blend! What is the perfect application for your egg blend? Quiche. 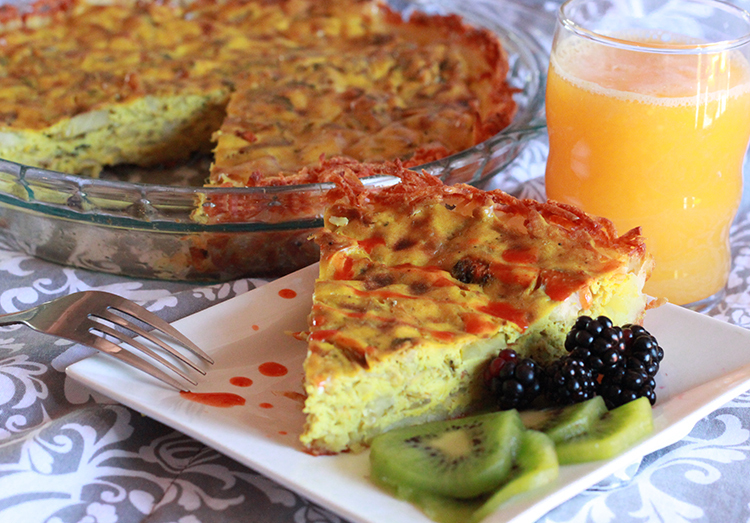 Create the perfect brunch attraction with this creamy, savory quiche with a unique hash-brown crust. Because who doesn't love potatoes with their eggs? Tofu never tasted so good!